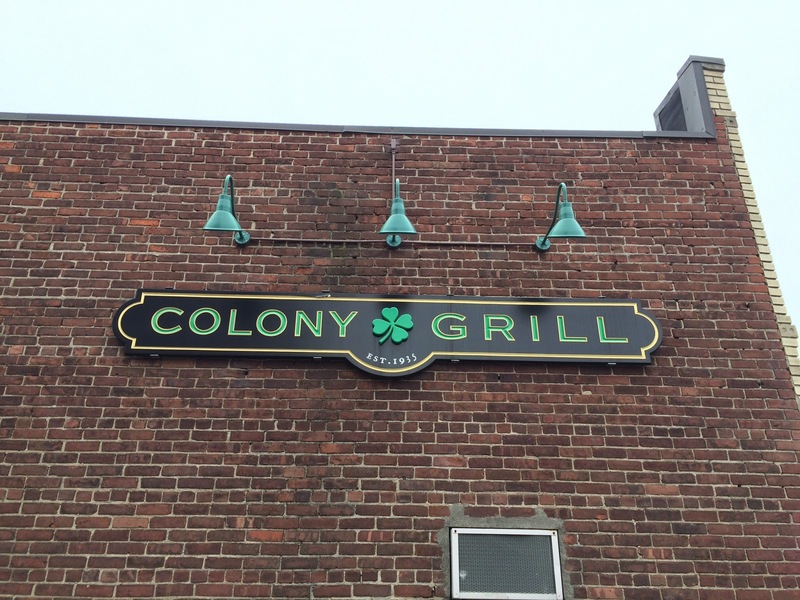 Colony Grill opened in 1935 in an Irish neighborhood in Stamford, Connecticut, and they're famous for their pizza which is the only menu available they serve now. 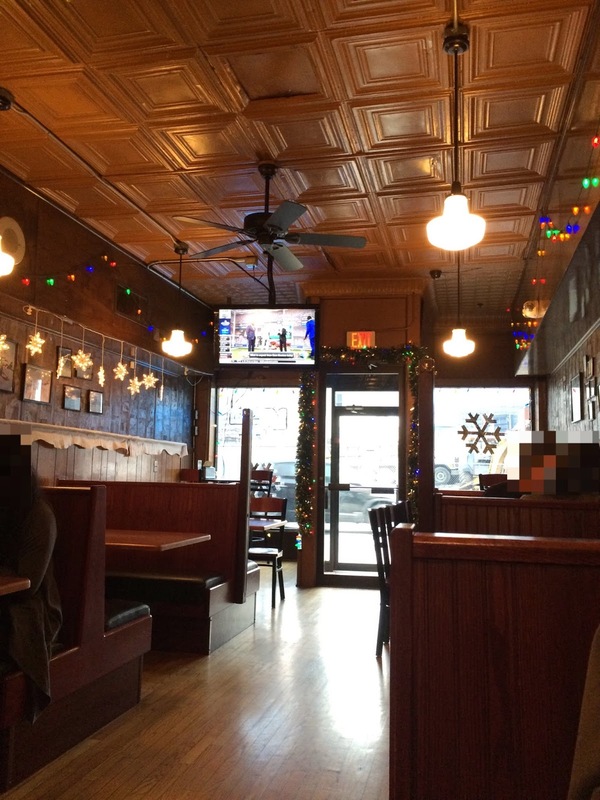 I've had their pizzas several times but it's my first time to eat at the restaurant. 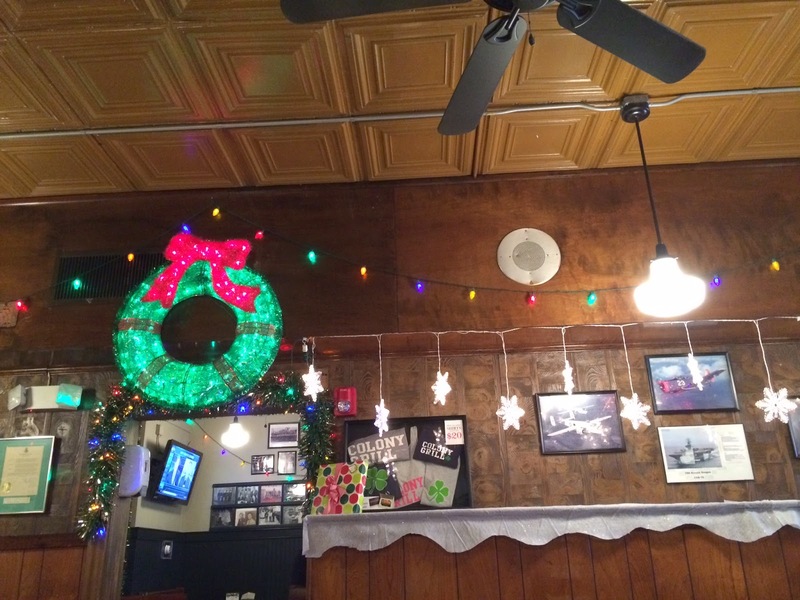 We went there before Christmas and inside of the restaurant was decorated with a wreath and snowflake-shaped lights. 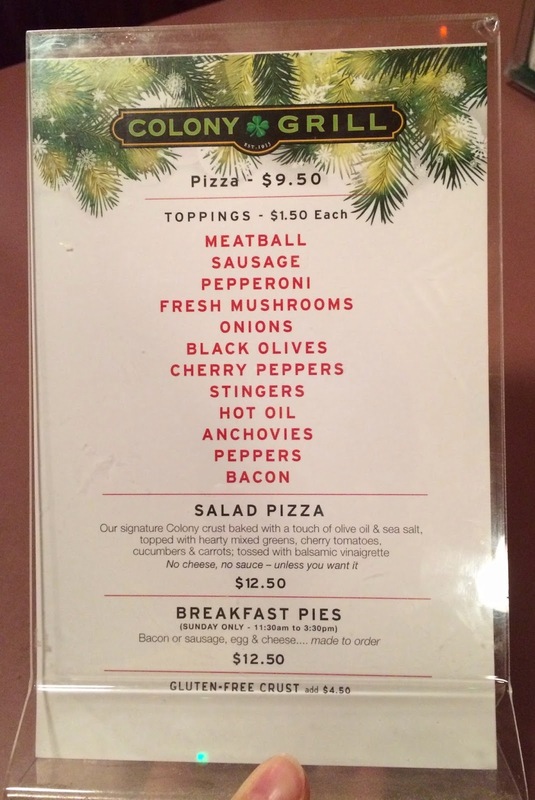 On the table, there's a mini menu and they only serve pizza, no joke. * They have soda, juice and alcohol beverages. I like spicy food so I added the most famous topping; hot oil. 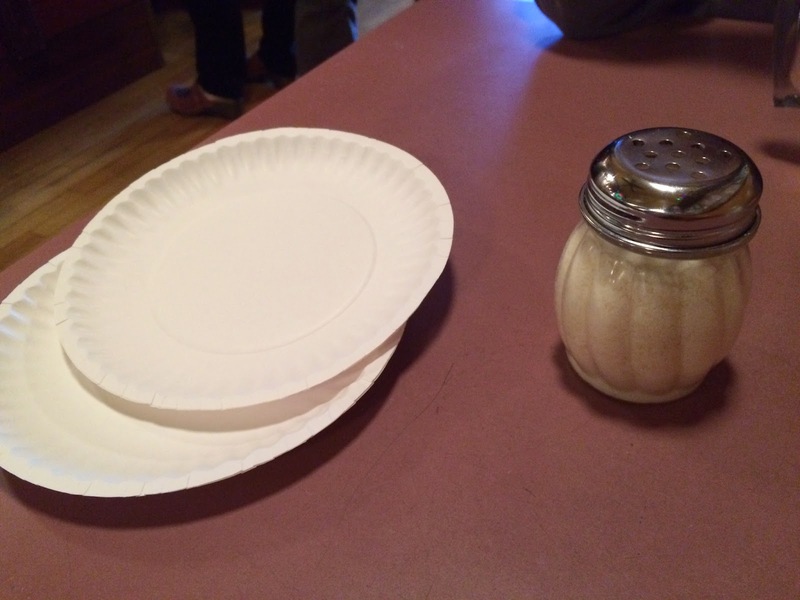 Soon a jar of parmesan cheese and paper plates were brought. Hot Oil is topped with a hot pepper and covered with spicy oil. 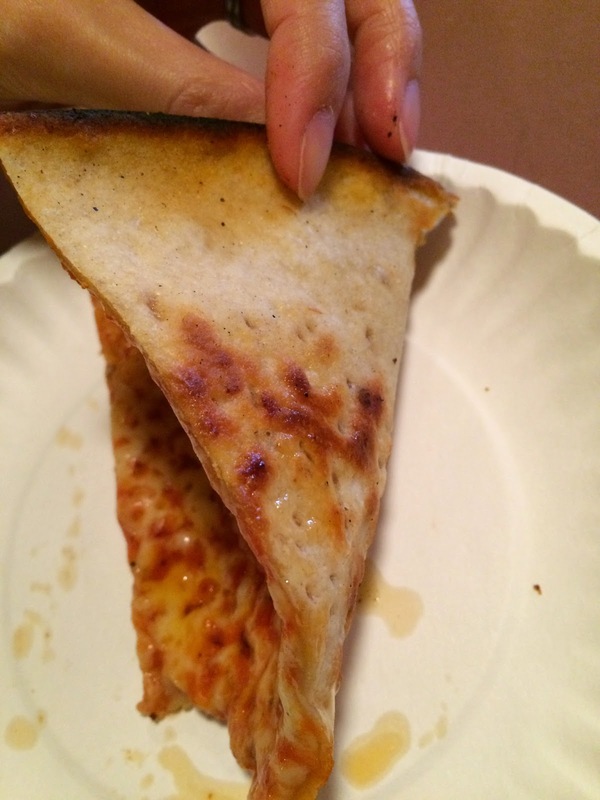 And the pizza doesn't have crust so that the edge of the pizza has melted cheese crust as you can see below. 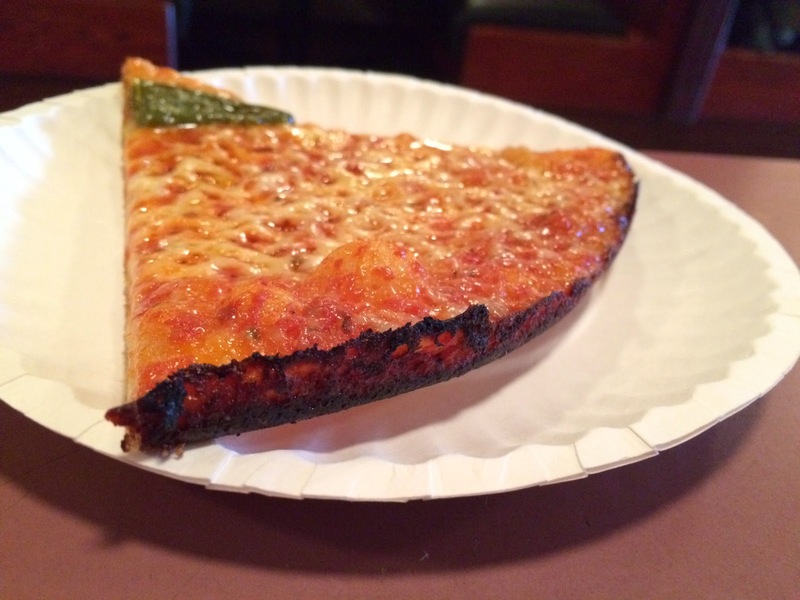 The pizza isn't thick but chewy but also crispy. The chewiness is similar to flour tortilla but much more dense and harder, and the crispiness is like a waffle's surface with caramelized sugar which just came out from a waffle maker. The bottom was lightly brown like grilled pita bread. Thinly spread tomato paste had onions and possibly garlic, too, and cheese on the top was put light but not too little so that it didn't slide down. 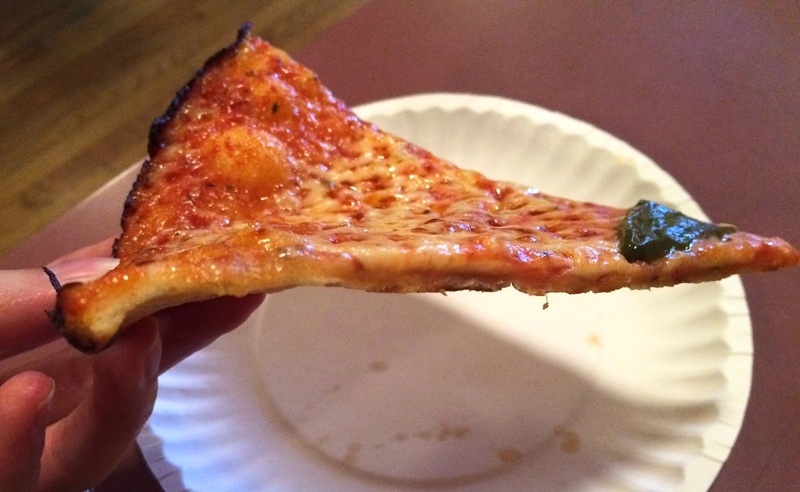 I liked the spicy flavor but the oil was so greasy and heavy that I could only eat the 4 slices. Every bite squeezed the oil out and the paper plate got soaked with oil. 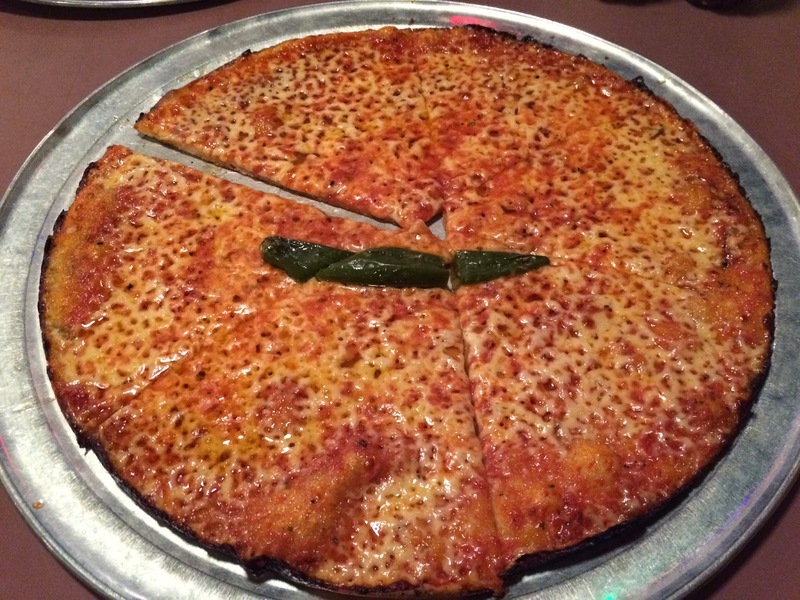 Next time I shall order "Stingers" that has no hot oil but instead each slice has the same kind of hot pepper. 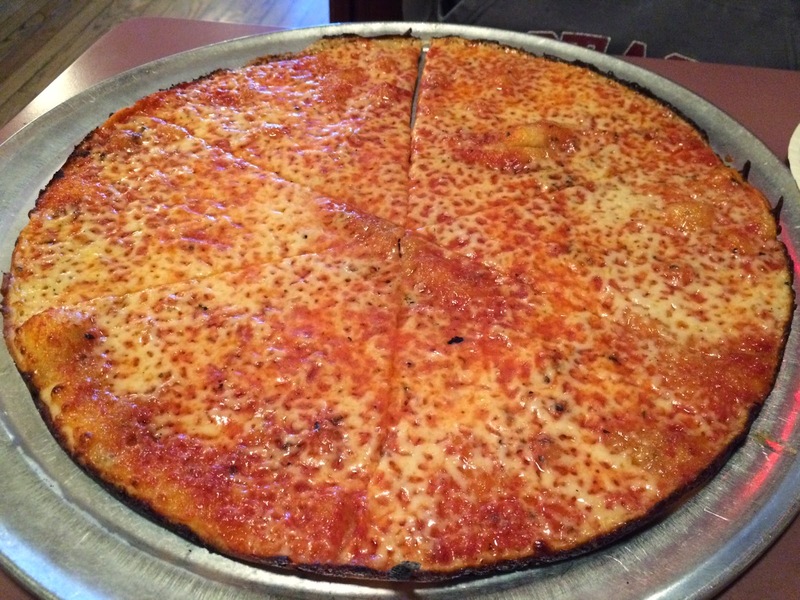 This is a plain pizza (9.50 dollars before tax). I've had a lot of pizzas so far including the ones I didn't review, but their dough is very unique and I've never had anything like this any other places. 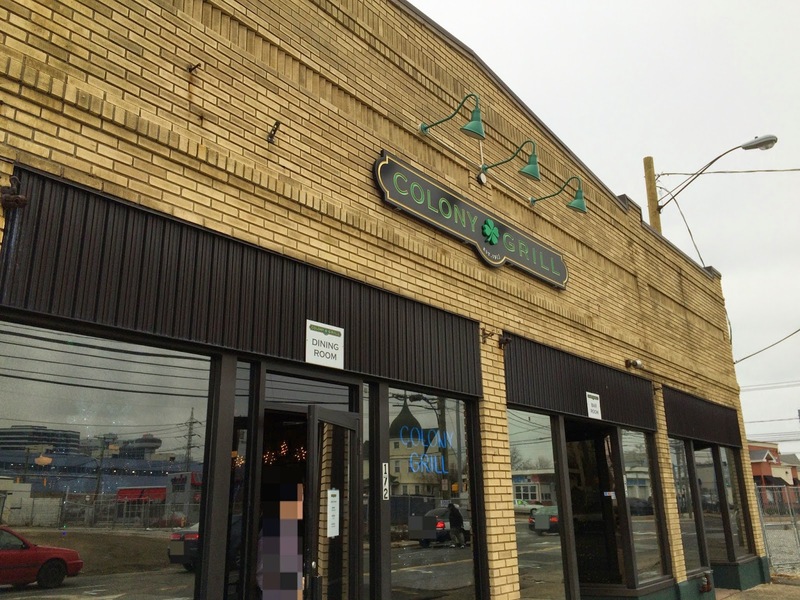 If you're in Stamford, I think this pizza is a must-eat.